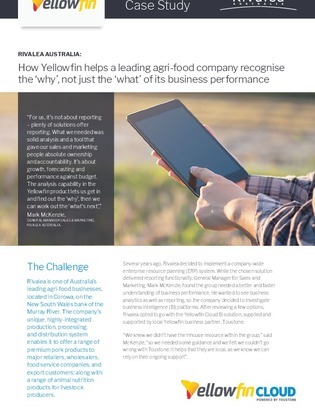 Rivalea is one of Australia’s leading agri-food businesses. The general manager for sales and marketing found the group needed a better and faster understanding of business performance. He wanted to see business analytics as well as reporting and decided to go with a cloud BI tool.